4.2 and out for the HTC One X? lie somewhere between 'slim' and 'none', according to reports. GottaBeMobile brings word from a notorious HTC tipster that the Android 4.2.2 Jelly Bean update will be joined by the latest version of Sense 5.0, but that'll be the end of the road for the handset. Developer and HTC tipster @LLabTooFeR wrote on Twitter: "No ETAs at the moment...4.2.2 will be last update for One X"
HTC has yet to confirm an update schedule for the 4.7-inch handset, which shipped with Android Ice Cream Sandwich, but was refreshed with Jelly Bean 4.1 in November. 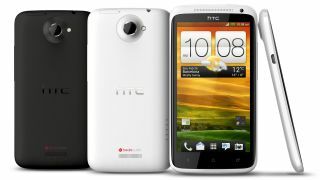 If the HTC One X isn't to get Key Lime Pie than it seems unlikely that its 2012 stablemates, the HTC One X+, HTC One S and HTC One SV will get it either. However, HTC One X isn't the only phone that'll be expecting an Android 4.2.2 update sooner rather than later. Even the flagship HTC One that recently went on sale around the world is only shipping with Android 4.1, but it's perfectly conceivable that it'll skip 4.2 and go straight to 5.0. Key Lime Pie is thought to be the latest version of Android, but Google is yet to officially announce it. That's expected at Google I/O next month.